AeroLeads is a bootstrapped startup founded in 2015 in Bangalore, India. They provide a plugin for prospect list building, as well as a full service of building individually selected prospect lists for outbound sales. In this post, though, I’ll focus exclusively on the plugin. 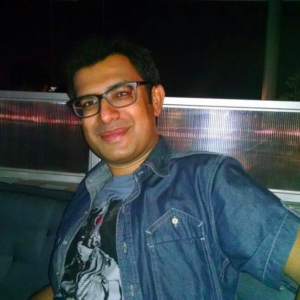 I interviewed Pushkar Gaikwad who is the founder of AeroLeads, where he wears multiple hats. He is passionate about technology, sales, marketing, Internet and quantum physics. Below you’ll find Pushkar’s answers to 8 questions, which should give you a better idea of how AeroLeads works and how you can use the tool for outbound prospect list building. How would you describe AeroLeads in 4-5 sentences? Pushkar: AeroLeads is a prospect generation software. It finds prospects with data like confirmed business emails, title, company, location, phone number and more from various sources. Then users can export the data into an Excel file or to software like Salesforce, Pipedrive, etc. It is used by over 6700 businesses including various SMBs, Inc 5000 companies and startups. What is the greatest benefit of using AeroLeads? P: Each product or service company needs to start their sales by finding and building their prospect list. AeroLeads automates and simplifies this top of the funnel sales part. In a matter of just a few hours, you can build a huge prospecting list on which you can work on for the whole month. How does the process of building database look with AeroLeads? Install the AeroLeads Chrome plugin. Copy your API key from the Settings page to the Chrome plugin settings, so the browser can send data to AeroLeads. Go to LinkedIn, do your search. You will see a widget on the right. Click on ADD, and the data will get sent straight to your AeroLeads panel. The software will find the emails and other contact details in 2-3 seconds. You can also check this 90-second video to see how it works. Do I need any additional tools/add-ons to use AeroLeads efficiently? P: Not really. Though if you want, you can still upgrade to LinkedIn premium as it gives you far deeper search results and allows you to search more. What kind of information can I actually collect using AeroLeads? P: It depends on the plan you are on. For example, with the Take Off plan, you will get 100 credits, whereas on higher plans, it will keep going up. We do offer custom plans where you can buy credits based on your requirements, too. P: It starts from $49 and normally a confirmed contact costs 50 cents. P: Absolutely. You can signup for free at AeroLeads.com to test the software with your free credits and can upgrade any time when you are ready. The first thing that drew my attention when testing AeroLeads was a step-by-step tutorial in the panel. As a user who enters the tool, you are shown around the panel and you quickly discover all available functions. This has been so simple, and at the same time so helpful. Plus, I haven’t seen that in the other tools I reviewed. 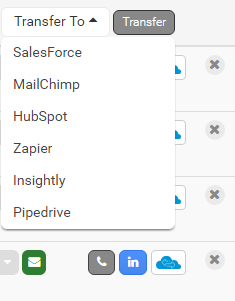 The Integrations tab includes quite a few CRMs and emailing tools, including Salesforce, Pipedrive, Hubspot, and the famous API aggregator – Zapier. That’s the greatest number of integrations I’ve seen in a prospect list building tool. 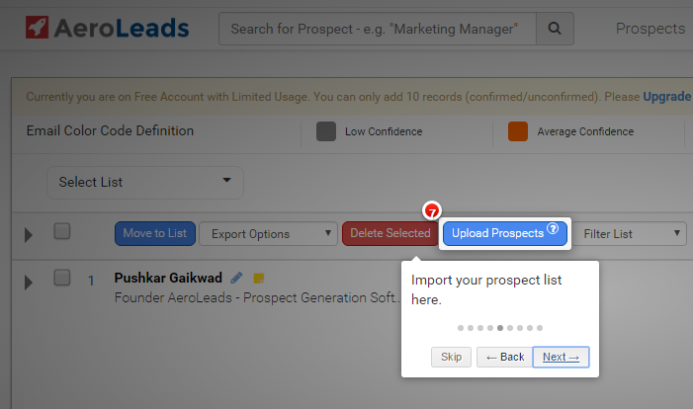 Additionally, the AeroLeads panel includes convenient buttons to export the prospects with a single click. You can upload a .csv file including first name, last name and company name of your prospect, to the AeroLeads panel. Their contact data will be found for you. 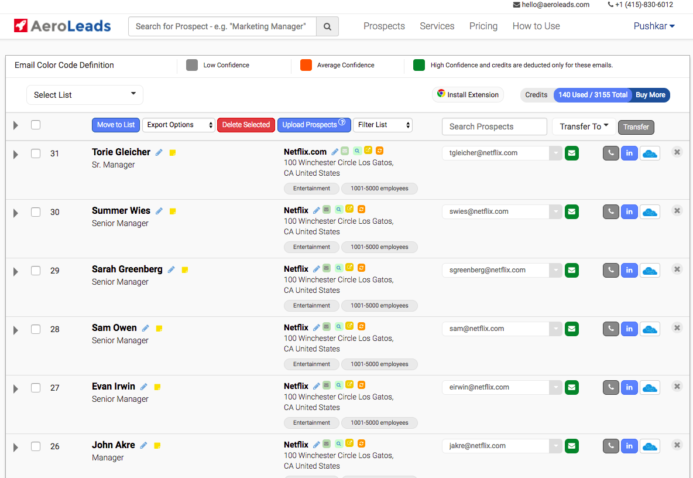 That’s a nice feature, as it makes the tool flexible and adjustable to various types of prospecting workflows. If you collect your prospects’ data in a spreadsheet first, you can cut a part of your spreadsheet, save it as .csv and import it to AeroLeads in bulk, which saves a lot of time. That is a pro-customer approach we do appreciate. If you don’t manage to use all your credits bought one month, they will be transferred to another month. So you’ll never lose the credits you once bought. The plugin shows you a list of prospects copied from the LinkedIn search results page. So you actually see two lists that need to be scrolled separately and compared, before you decide if you want to add a prospect or not. Additionally, the prospects whose company details could not be found, are moved to a separate list, below those with company data included. That makes it difficult to compare the LinkedIn results and the lists showing up in the plugin, because the order of prospects differs between the two. I believe simple buttons showing up directly on the LinkedIn results page would be definitely more convenient. It would be also great to have a simple way to jump to the AeroLeads panel from the plugin – for instance after you click on the logo. Now the plugin and the panel are not smoothly connected with each other. I’ve run a little test and added the same prospect twice – for the first time I used LinkedIn, and for the second time I used Crunchbase. Unfortunately, the prospect showed up twice on my list in the panel, which means I added to my list the same person’s data twice. Pushkar explained to me that the duplicate detection in AeroLeads is not based on the email address, but on the url of the person’s profile on a social platform. That’s why I was able to add my test prospect twice, because I added her from two different social platforms. So if you’re prospecting on various platforms, it’s good to be aware that some of your contacts may be duplicated by accident. AeroLeads uses three confidence level badges to mark all the found emails, which would be great if the green badge were given only to 100% verified correct email addresses. Most emails marked with green on my list had 100% confidence. But I also found one that was green, but only 50% sure… Now that’s quite a difference, isn’t it? That’s what made me think the email confidence marking in AeroLeads still needs some improvement. AeroLeads Chrome extension has been designed mainly to prospect on LinkedIn. It will also allow you to save contacts from individual profiles on AngelList, CrunchBase, GitHub and Inbound.org. The plugin allows you to capture email addresses, but also other data such as phone number, physical address of the company, general company email addresses, and more if only the data had been disclosed on the web. It marks the found email addresses with three badges of confidence: Low, Average and High. The price per contact is reasonable, considering the fact that on the premium account, you are charged only for the verified email addresses. Plus, any credits that you don’t use till the end of a month, will be transferred to the next one. You can import a .csv file with first, last, and company names of your prospects, and the tool will look for their email addresses for you. The app has a wide range of integrations. It allows you to push your prospects lists directly to Salesforce, Pipedrive, Zapier, HubSpot and more. There is a free trial, but you get only 10 free credits to use before you’re asked to upgrade. Additionally, the company has a nice onboarding process and you get some graphic materials to find your way around it – which is very helpful. Except for the Chrome plugin described in this post, the company also offers a separate service of prospect list building according to the descripton of your Ideal Customer Profile. Hope this gives you a basic idea of how well AeroLeads would fit into your prospecting process. Obviously, the best way to find out if it’s a tool appropriate for you is by giving it a spin yourself. Thanks for sharing Cathy. Have used a few such tools and found them extremely helpful. Will give this a try. Cheers! Thanks Danny, glad I could help!